With how busy we have been, I had not thought to create a centerpiece for our table. I asked her for permission if I could share her idea on my blog. I was just going to share her photos and description. But while at the dollar store I saw the scrubbers and thought we might as well make some for our own Thanksgiving table. Start out by cutting the cinnamon sticks in half. My husband boiled them for a couple minutes to slightly soften them (it may have been a little hard to cut them as they were, cause they were old, not sure). 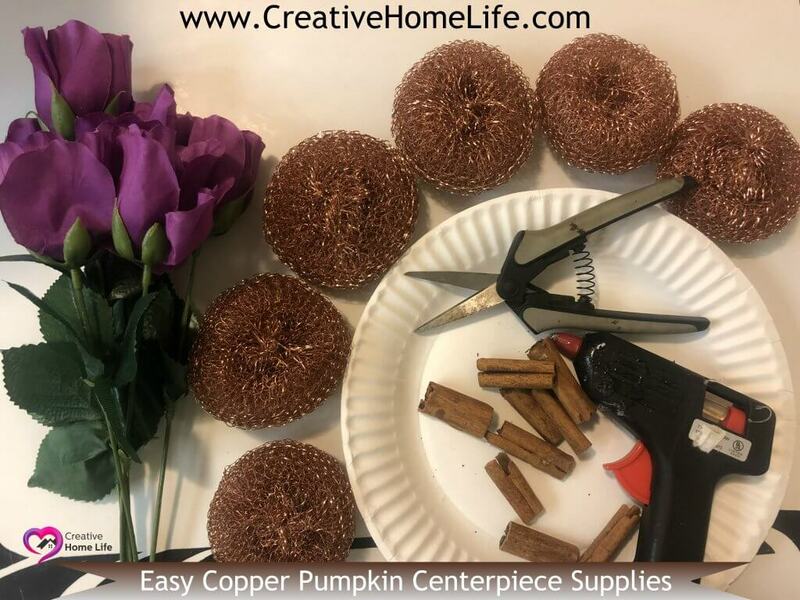 Cut a leaf for each pumpkin, off your plastic flowers. Hot glue a leaf to the center of each scrubber. 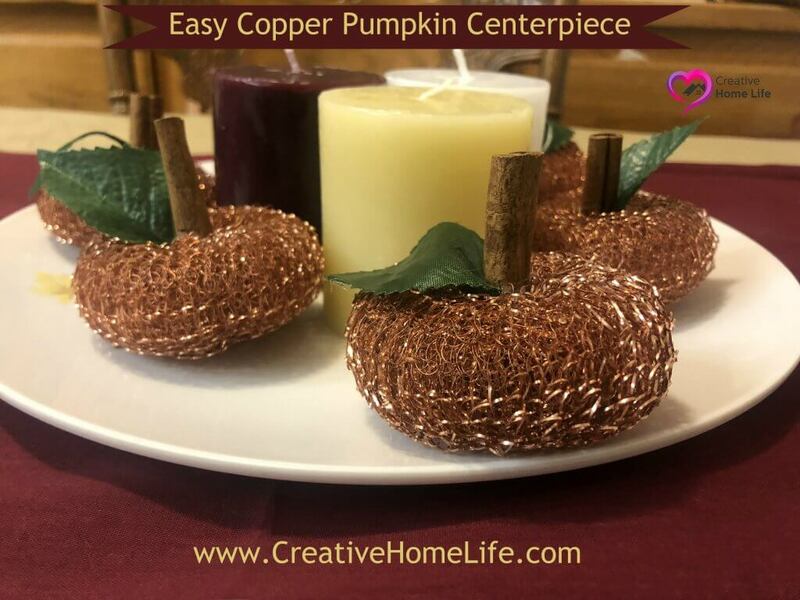 Hot glue a cinnamon stick half onto the leaf on center of each scrubber. I went back and added a drop of hot glue to the underside of half the pumpkin leaf tips to make them curve down. The other half I left sticking up. I gave each of them a little squish to form them & add a little more of a pumpkin shape. 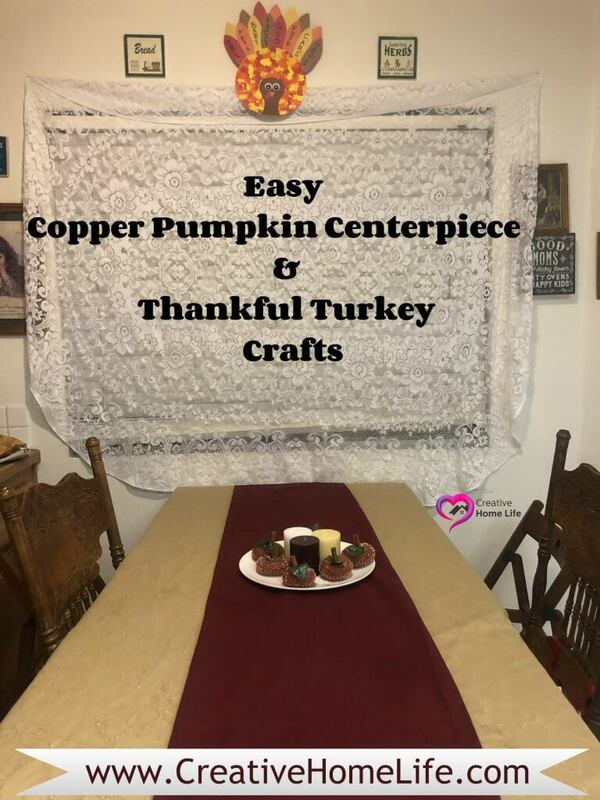 Click here to check out our Thankful Turkey Craft pictured below. 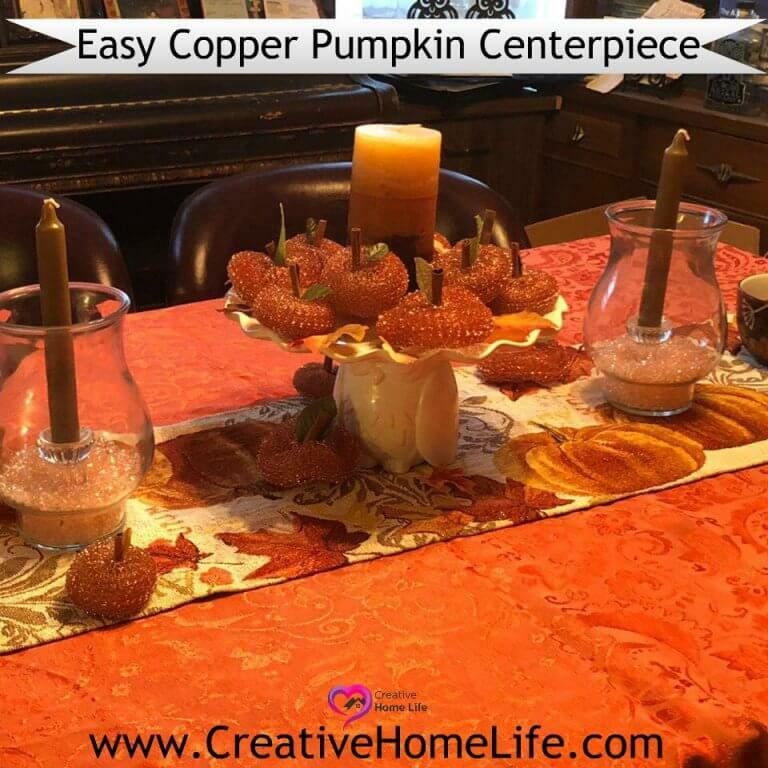 The photo pictured below is my friend Athena’s Copper Pumpkins and Thanksgiving table set up! Isn’t it lovely! 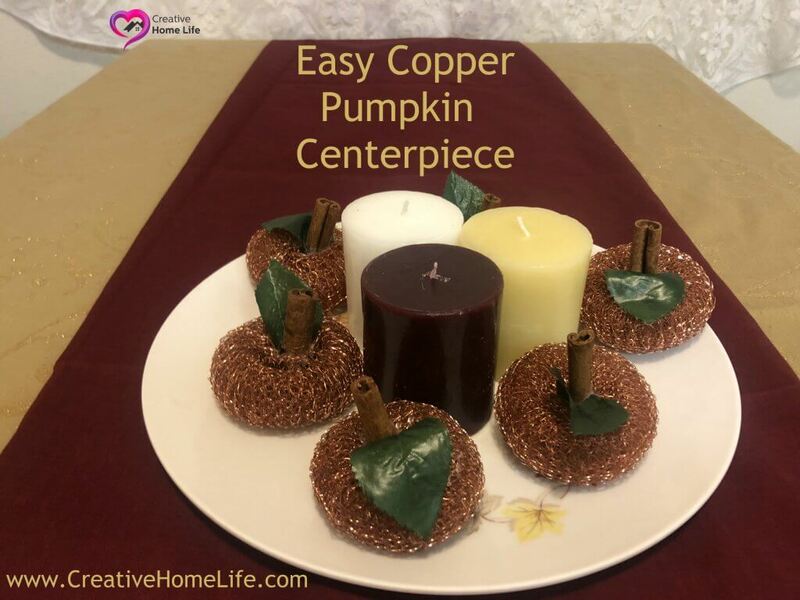 If you have any questions about our “Easy Copper Pumpkin Centerpiece” craft, or anything else… Please feel free to message me or leave a comment.